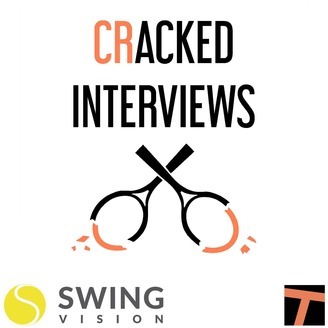 The Cracked Interviews Podcast gives you an all-access pass into the world of tennis. Dalton Thieneman and Alex Gruskin sit down with the sport’s biggest players, coaches, and academies to bring listeners inside the processes, personas, and stories that you won’t get anywhere else. Produced and Published by Daniel Westhoff. Welcome back Cracked fans to another edition of the Cracked Interviews Podcast. On today’s episode, former University of Illinois All-American and current ATP #381 Jared Hiltzik joins Host Alex Gruskin to discuss his relationship with the game of tennis. The guys start by discussing how Jared got involved with the sport, and how having a younger brother who also excelled helped facilitate his own development. Jared also shares how his relationships with coaches Billy Heiser and Brad Dancer shaped the type of player he has become, and why he believes every tennis player would benefit from at least one year in college. The two also reflect on Jared’s recent media tour, and comment on the many flaws of the new ITF Transition Tour. They also run through some Jared’s highlights at Illinois, and end with a Rapid Fire segment touching on Jared’s NY Giants fandom, favorite meal, and so much more.